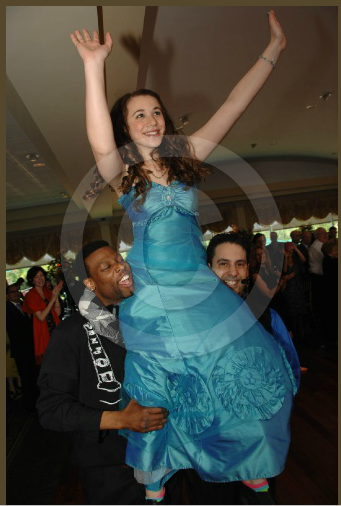 Alex and Andy Postman started the year off with a very memorable Bar Mitzvah party for Sam at Bubbies. Highlight was a montage that played more like an Academy Award movie and a wonderful spirited crowd of people including Rabbi Andy Bachman of Congregation Beth Elohim in Park Slope and his lovely wife Rachel Altstein and many of our favorite guests. Horizon Entertainment hired the Green Screen Photo Booth for Yeshiva University’s Purim party with over 800 students. Very memorable costumes and a whole lotta fun. LSNY introduced our giant video screens at Stefanie and Steve Rosner’s Bat Mitzvah party for Amy at Rockleigh Country Club. Notable guests included NFL Greats Boomer Esiason, Phil Simms, and other notable sports people. Musicians and lit dance stages help fill up this crazy wonderful evening. A beach themed party in Newark? Yes Howard and Stacie Mintz put together a really cool Beach themed party for their daughter Rachel at the Newark Club on an April afternoon. We love it when the honoree is so totally and completely into their party. Rachel was one of those young ladies and a joy to have gotten to know and celebrate. For this party LSNY put up a big white screen behind the DJ area and used moving water images to help create the water feel to enhance the theme. A monumentally amazing wedding for Justin and Steven at the Westin Governor Morris in April. LSNY provided customized humorous written and musically scored entrances for the wedding party which delighted the guests. The exuber ance generated from this custom entrance shot the wedding into a 20 minute spontaneous dance set (which no one on the Westin mgmt staff had ever seen before) when the couple made their way into the room. The dance floor filled and it became a wedding for the ages. 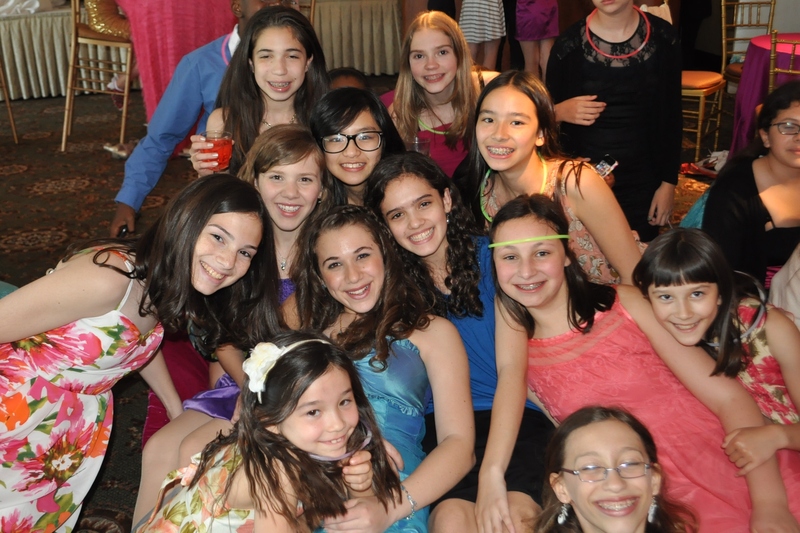 Sophia Alexander celebrated her Bat Mitzvah in May at the Brooklake Country Club. Renee Leviton and Craig Alexander were having the time of their lives with friends and family, and one particularly memorable moment was Sophia playing her trombone in a jazz trio made up of her grandfather and another close family friend. So many more great events to tell you about – this encompassed only highlights of up to the first half of the year in 2012 but I wanted to tell you about some of the new things happening at LSNY for 2013. Check out the next post for the newest news. This entry was posted in Bubby's, Congregation Beth Elohim, event host, event lighting, event MC, LSNY, Mitzvah video, Ultimate Games Master, Wedding venue NJ, wedding video, Westin Governor Morris, www.lsny.net and tagged bar mitzvah green screen photos, bar mitzvah lighting, Best Mitzvah ever, Brooklake Country Club, Brooklyn Mitzvah DJ, Congregation Beth Elohim, LED Lighting, Newark Club, NJ Mitzvah DJ, NY photo booth, Ultimate Games Master. Bookmark the permalink.